Hello friends, Today i am going to share one more tutorial named simple PHP CRUD tutorial with mysql. This is most basic part while you create any application. 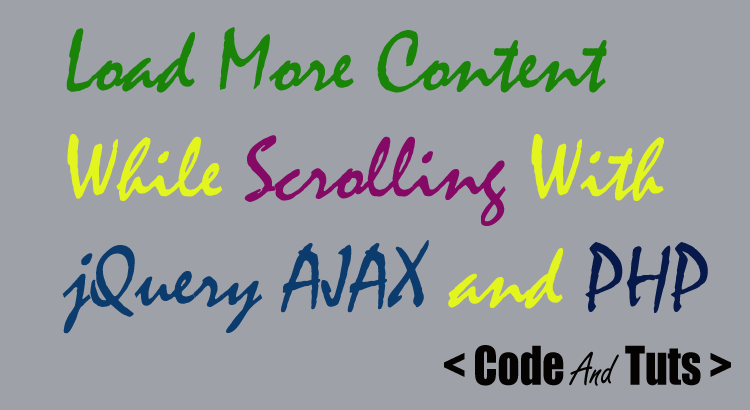 Any web application should have CRUD functionality. Normally CRUD is stands for CREATE, READ, UPDATE and DELETE. 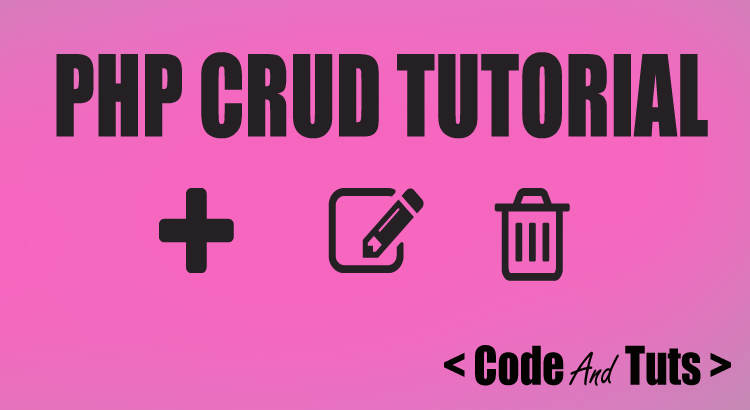 So in this tutorial you will learn how to use CRUD in PHP with MySQL. So i will not waste your more time and come to the point. Let’s start step by step. First of all we have to create a MySQL database for CRUD operation. Use below query for to generate MySQL database structure. After creating MySQL database structure our next step is to connect with newly created database. So let’s create config.php file and connect PHP with MySQL database. Please make sure that you change your database name, localhost name, password and other required stuff as per your system. Using config.php file you are able to connect the MySQL database. Now our next step is to create a front page for showing all the data from database with add, edit and delete button and icon respectively. So for that i will create a index.php file. See my index.php file for getting idea about this front-page. Here i am using bootstrap framework. Please don’t copy the code. If you want to be a true programmer then please try and practice it. In the index.php file, First you will see add new button for add new user. When someone click on the add new button, bootstrap model will open with html form. You can add or edit data using this form. This html form is validated with jquery. If someone add new user then html form data will send to insert.php file. In the insert.php file server side validation occur for the data. After than data will inserted in the database. If action is edit then data will update for selected user id. See insert.php file below. Now let’s look up at edit operation. Here i have one edit.php file for that. When someone click on the edit button then html form open with selected user’s data. After made any update in the data when you hit the submit button, selected user’s data will update. See edit.php file below. Now final operation of PHP CRUD tutorial is DELETE the data. Every row contains a delete button icon at the end. When someone click on the delete button, delete.php file performs. In the delete.php file MySQL delete query perform and delete the selected id record. See the delete.php file.